On Friday, January 29, 2016, Public Works crews pre-treated 2,000 tons of road salt with Geomelt 55 (a liquid material commonly known as "beet juice"). 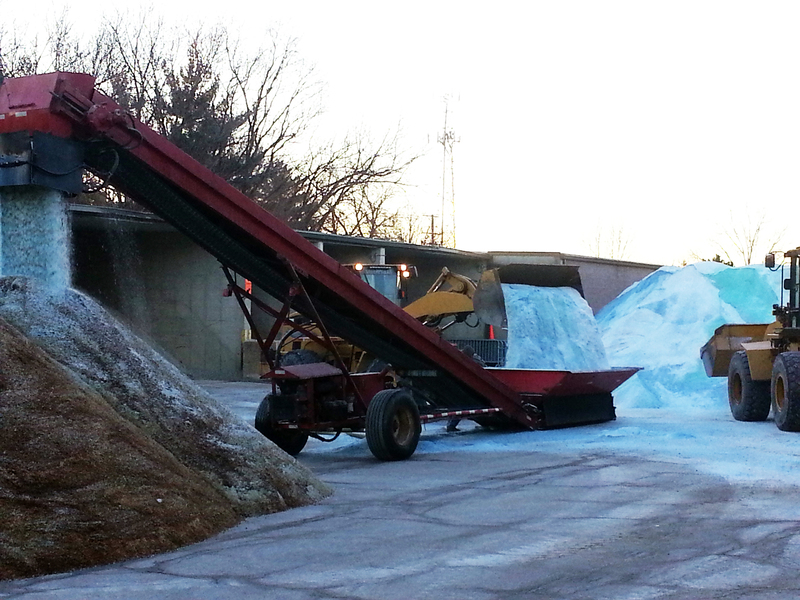 SNI Solutions of Geneseo, Illinois provides Geomelt 55 and the conveyor system used to coat the salt. The liquid is applied at a rate of about 5-6 gallons per ton of salt. Front-end loaders are used to fill the hopper of the conveyor. 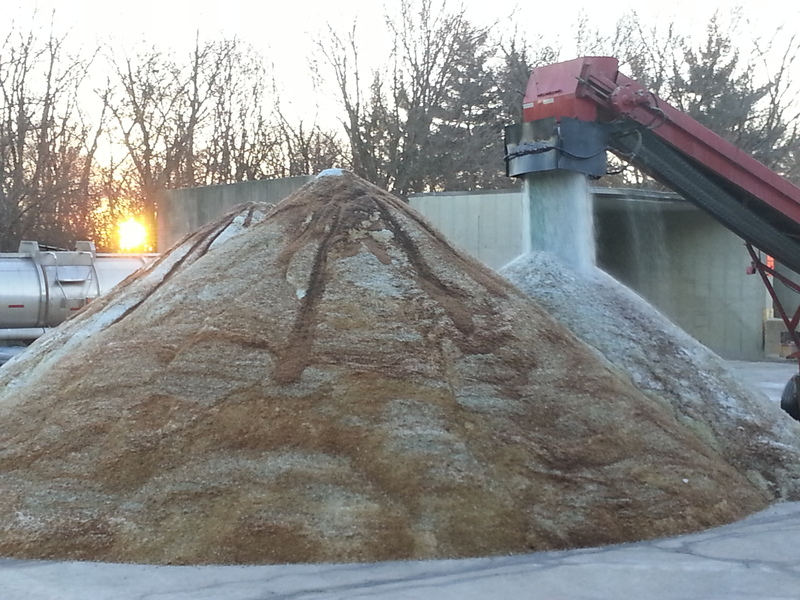 The finished product is then stored in the salt dome.